Courtesy photo Bicyclists pledge their support on their official Pan Mass Challenge shirts of family members for which they rode in a previous event. 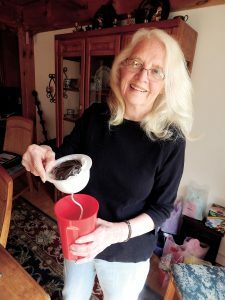 Merrimack resident Amber Roche will participate in this year’s ride on Aug. 5 and 6. NEEDHAM, Mass. – On Aug. 5 and 6, seven riders from Hollis and one from Brookline will cycle up to 192 miles in the Pan-Mass Challenge with the goal of raising $48 million for critical research and cancer care at Dana-Farber Cancer Institute. During the weekend, more than 6,200 cyclists from more than 40 states and eight countries will return to Massachusetts to participate in the ride, choosing from 12 routes of varying mileage that run through 46 towns. Cyclists are anywhere between 15 and 84 years old and range from seasoned triathletes to weekend warriors who trained for this event alone and everything in between. Many riders participate in the Pan-Mass Challenge to honor a family member or friend lost to, or being treated for, cancer. More than 600 riders and volunteers are cancer survivors or current patients, considered “Living Proof” of the ride’s mission to find a cure. The average cyclist trains for three months, solicits 40 sponsors and raises more than $7,000. Volunteers, spectators, donors and sponsors are part of the camaraderie on ride weekend, all working together toward a cure. No other single athletic event raises or contributes more money to charity than the Pan-Mass Challenge. Since 1980, the ride has raised $547 million dollars for Dana-Farber through the Jimmy Fund, its fundraising arm. 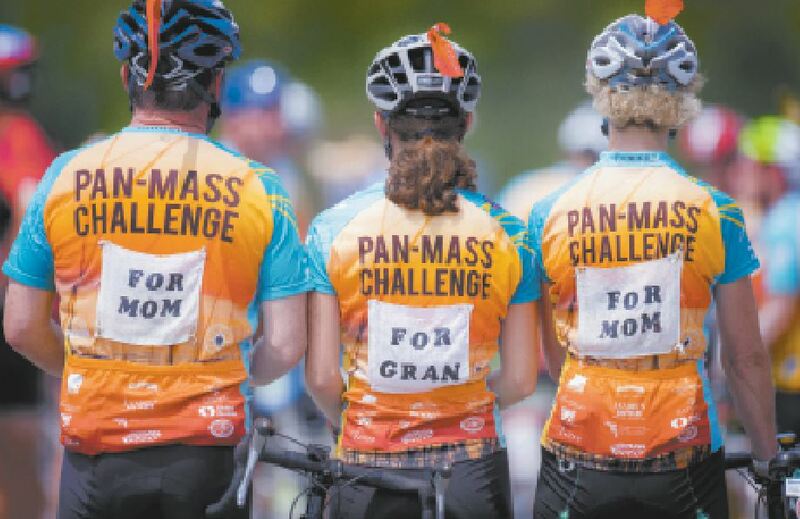 In fact, the Pan-Mass Challenge is Dana-Farber’s largest single contributor, raising more than 52 percent of the Jimmy Fund’s annual revenue. The Pan-Mass Challenge is presented by the Red Sox Foundation and New Balance. To make a financial contribution to a rider from your town or become a virtual rider, visit www.pmc.org, or call 1-800-WE-CYCLE. Connect with #PanMass2017 on Facebook, Twitter, Instagram, Pinterest and LinkedIn. Good luck to the following participants from Hollis and Brookline: Steve Roche, Katherine Jansen, Thomas Dufresne, Mark Burke, Charles Musson, Steve Piper, Sandra Barlow, Joseph Kifer.